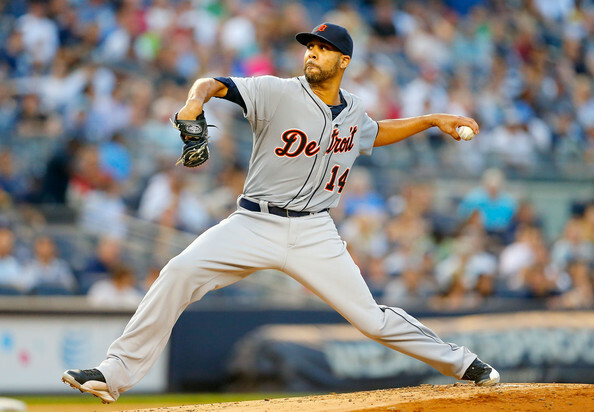 The Orioles struggled against the Tigers in the regular season, going 1-5 against them. They haven’t matched up since the middle of May, so it will be interesting to see how much this Orioles team has improved since then. It’s very hard to look at the numbers between these two teams, because they haven’t played against each other since May 14th. The Tigers were dominant in the series, taking 5 of 6 games from the O’s, but a lot has changed since then. Guys such as Manny Machado, Matt Wieters, and Chris Davis all were healthy and in the lineup for these series, so you have to take into account that some of the guys on the Orioles’ postseason roster just didn’t get a chance to swing the bat. The Orioles, for one, have a lot of new faces who have contributed in their roles very nicely, something that manager Buck Showalter must be extremely happy about. In a series that doesn’t have a lot of games, you don’t truly expect to see great numbers coming from players. There were, however, some players that stood out on both sides, as they found ways to have success against the opponent’s pitching staff. 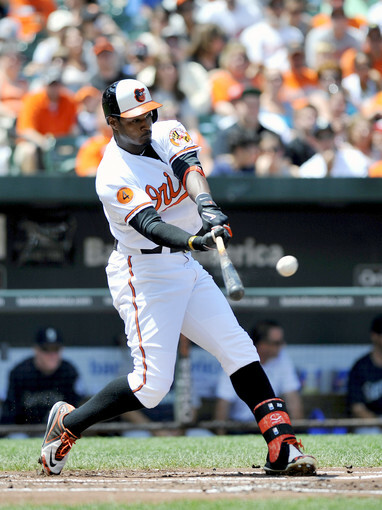 The main standout for the Orioles was Adam Jones, who had a .348 AVG in the series. Other than Jones, the Orioles really didn’t put up the numbers offensively, which leads you to see why they struggled in the series. As for the Tigers, they had a few guys that put up big numbers, such as their main two guys in the lineup: Miguel Cabrera (.400 AVG) and MVP candidate Victor Martinez (.333 AVG). Other guys such as Torii Hunter, Don Kelly, and Rajai Davis had nice series as well. The regular season numbers and stats definitely go in favor of the Tigers, but does that mean that will translate into the postseason? Many people feel that their trio of Max Scherzer, Justin Verlander, and David Price is the best 1-2-3 combo in the game of baseball, as the comparison to the Atlanta Braves of the 1990’s with their trio of Tom Glavine, Greg Maddux and John Smoltz is made commonly. Along with this “Three Headed Monster,” the Tigers also have Rick Porcello, a 15 game winner, so it’s obvious that there is a lot of depth throughout this rotation. Along with the success and the strength of the rotation, there still are questions about the Tigers bullpen, who have been very inconsistent this season. Guys like Joe Nathan have had their ups and downs this season, but Detroit has added a piece to the puzzle that might ultimately help them down the stretch. Anibal Sanchez, who missed part of the year due to injury, has returned to the major league club, but this time he will serve as a reliever. This allows manager Brad Ausmus to have an arm in the bullpen that he can rely on to give the team a few innings, as he has the ability to stretch Sanchez out if needed. It will be interesting to see if Sanchez can pitch back-to-back days, as this is a transition that sometimes isn’t easy for regular starting pitchers. If I was in Brad Ausmus’ shoes, I wouldn’t be so concerned about scoring runs, because I know the pieces are in the lineup to make that happen. 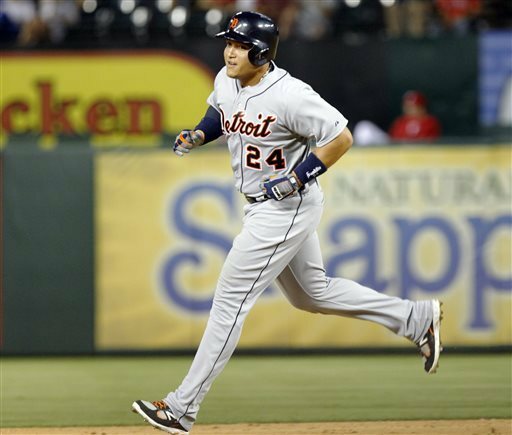 The Tigers, as a team, scored 757 runs this past season, which was second in all of MLB (Behind the LA Angels). If Ausmus’ lineup is able to stay healthy and continue the production he got throughout the regular season, the Tigers should be in a pretty good position to compete. My main concern when looking at this team is the bullpen: can the bullpen step up in key situations to help keep the team in ball games? The starting pitching should provide length into games, but if the starting pitching struggles, the main question is whether the bullpen can step up and get the job done. 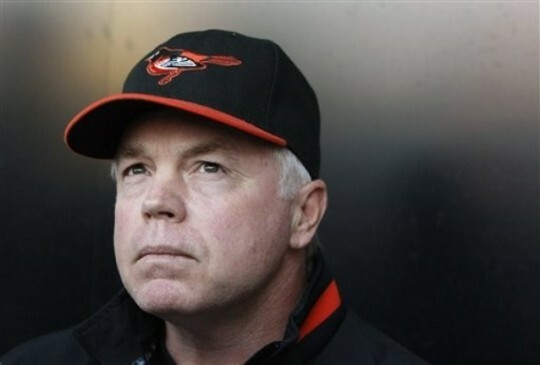 Buck Showalter has put his team in a position to be very successful, but can that translate into postseason play? Baltimore: Can They Continue to Prove Everyone Wrong? For a team that won 96 games and clinched the AL East Division Title by a landslide, I’m amazed at how the experts have no faith that the Orioles can compete in this series. Yes, they are dealing with the injury/suspension bug and also have a lot of role players who have in some opinions “overachieved,” but don’t count the Orioles out just yet, as this team seems to prove everyone wrong day in and day out. Of course, the pitching staff doesn’t have the brand names like the Tigers, but there is reason to believe that this rotation can ultimately compete with anyone. Dillon Atkinson of O’s Uncensored pointed out on Twitter Follow @atkinson_OU that the four starters projected to pitch in the rotation this postseason all had pretty good September months, as they all posted respectable ERAs that show how well they are throwing the baseball. If the Orioles can get that type of production from their starting pitchers, the sky is the limit for this team. Baltimore’s bullpen ranks 6th in all of baseball in ERA, and has found pieces such as Zach Britton and Darren O’Day that have fulfilled their roles nicely. Playoff success comes from how good your entire pitching staff is, and I feel that this team has a lot of depth, which makes them capable of competing with anyone in the American League. The one concern I have for the Orioles is the injuries and suspensions that are keeping main pieces out of the lineup. Without Chris Davis, who is still serving his 25 game suspension, the Orioles need their main pieces to step up. Guys like Adam Jones and Nelson Cruz have produced at a high level for most of the season, while Nick Markakis is swinging a hot bat currently, which definitely could help the Orioles out of the lead-off spot. While there are concerns for both teams, this should be a very intense series that will be fun for baseball fans to watch. Miguel Cabrera looks to lead the Tigers offense to the next round of the playoffs, but will have to get past a very tough Orioles team to get to the ALCS. If Tuesday night’s Oakland vs. Kansas City Wild Card Playoff game is any indication of how this postseason will go, I figure that a lot of fans will be on the edge of their seats. This series is one that intrigues me, as I think that these two teams are very respectable teams that have a lot of talent and depth. It wouldn’t surprise me to see this series go to 4 or 5 games, as I definitely don’t think we will see a sweep in this one. As hard as it is, I have to give a slight edge to the Tigers, as I feel that their starting rotation will be very tough to beat. Just because I’m picking the Tigers doesn’t mean this Orioles team doesn’t stand a chance. Let’s remember, this team is one to prove all their doubters wrong. Maybe they will prove me wrong once again and pull a win in this series. A big thanks goes out to our Guest Writer Nicholas Delahanty for preparing today’s featured article. Nicholas is a current student at Felician College, studying Broadcast Journalism with a minor in English. Nicholas recently started working as a broadcaster for Felician College Basketball games, and is a student-writer for the college’s monthly magazine. He volunteers as a baseball and basketball coach in Garfield, New Jersey, and also volunteers as the announcer for the town’s Junior Boilermaker Football program. 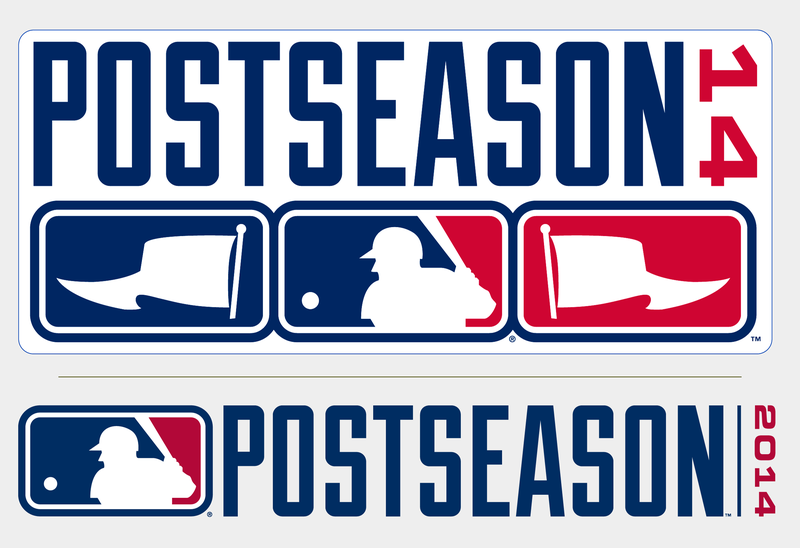 Posted on October 1, 2014, in Playoffs and tagged 1997, 2014 alds, 2014 playoff predictions, 2014 Postseason, @nick_delahanty on twitter, adam jones, AL East, alds, anibal sanchez, baltimore, baltimore orioles, Brad Ausmus, buck showalter, bud norris, chris davis, chris tillman, Chuck Booth, david price, detroit, detroit tigers, Dillon Atkinson, Greg Maddux, http://www.oriolesuncensored.com/, john smoltz, justin verlander, manny machado, matt wieters, max scherzer, miguel cabrera, miguel gonzalez, mlb reports, mvp, nelson cruz, nick delahanty, nick markakis, O's Uncensored, rajai davis, tom glavine, Torii Hunter, victor martinez, wei-yin chen. Bookmark the permalink. Leave a comment.